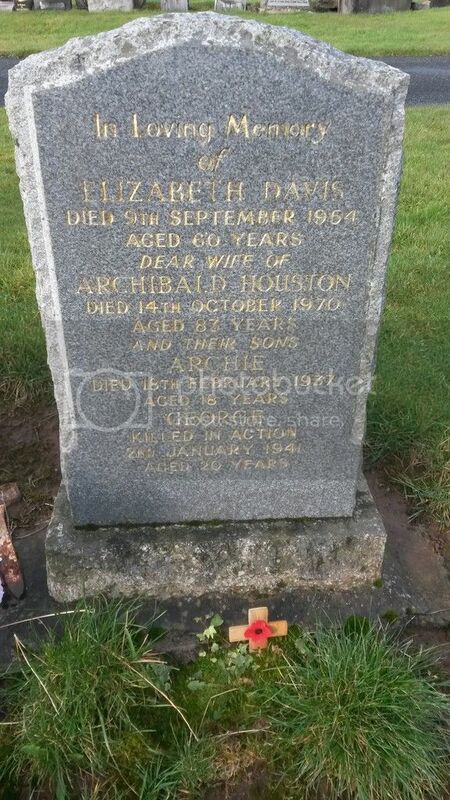 Regiment/Service: Royal Engineers 41st Div. Signal Coy. 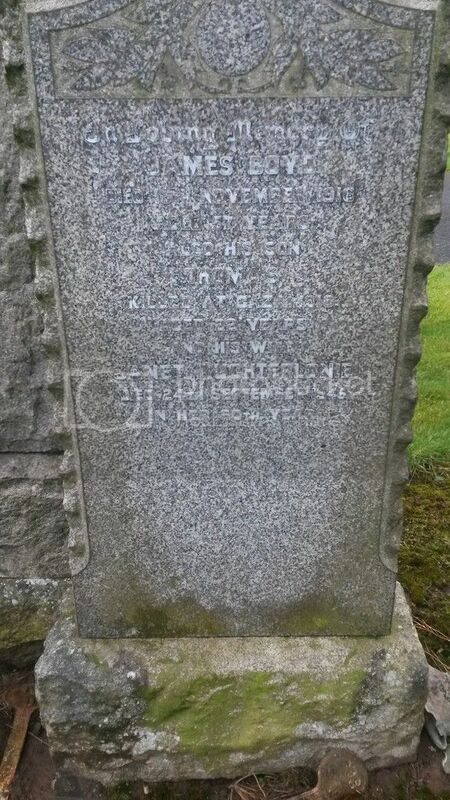 Cemetery: NEWMILNS (OR LOUDOUN) CEMETERY, Ayrshire. 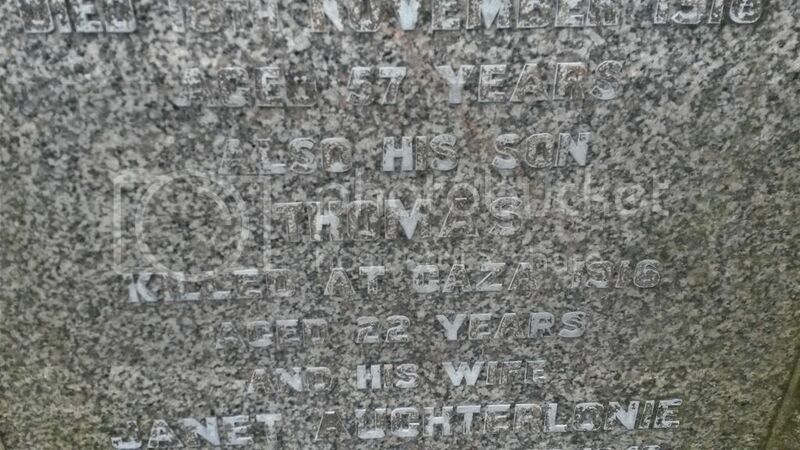 Additional Information: Son of Agnes Todd, of Millercroft, Newmilns, Ayrshire, and the late Alexander Todd. 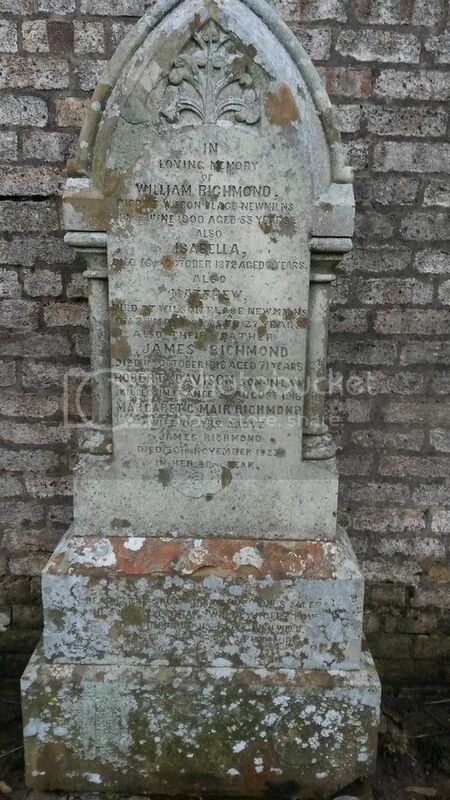 Grave Reference: R. D. 2. 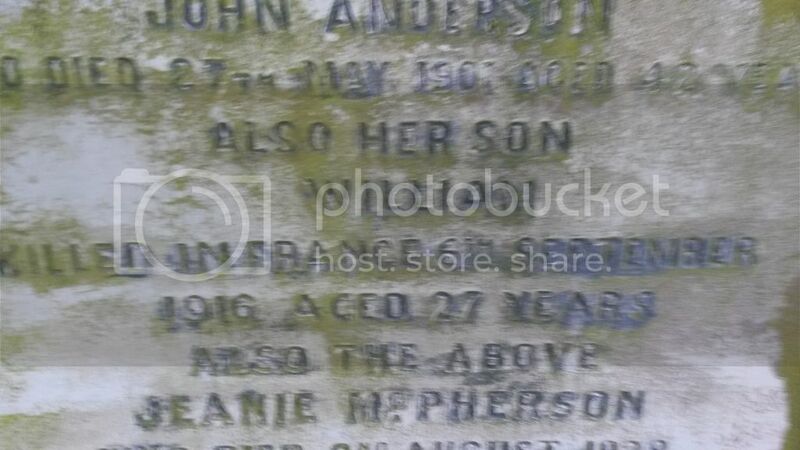 Additional Information: Son of William and Margaret Andrew, of Newmilns, Ayrshire. Regiment/Service: Machine Gun Corps (Infantry) 33rd Bn. 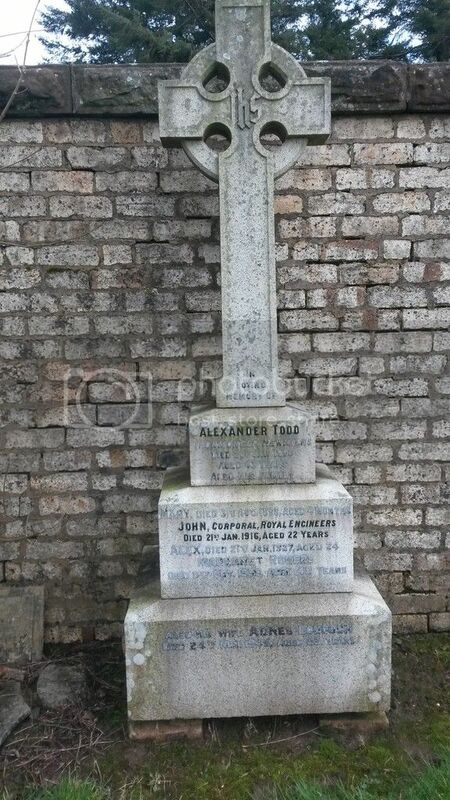 Also served in Royal Scots and Highland Light Infantry. Panel Reference: Pier and Face 14 A and 15 C.
and the late Richard Dykes. 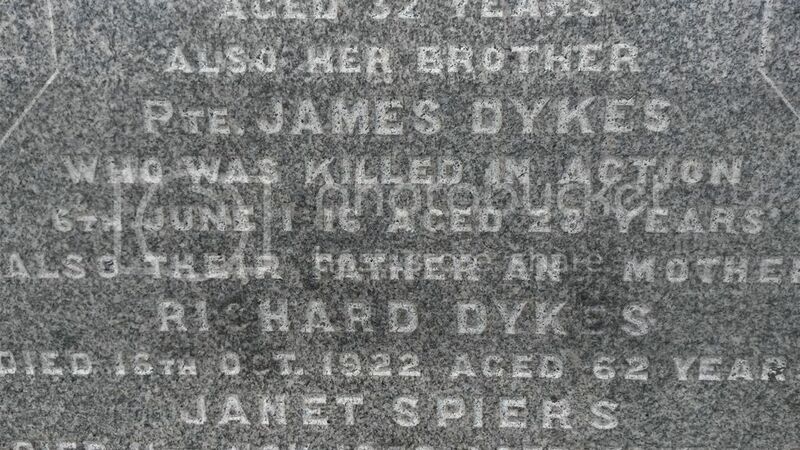 Husband of the late Maggie Howie Dykes. 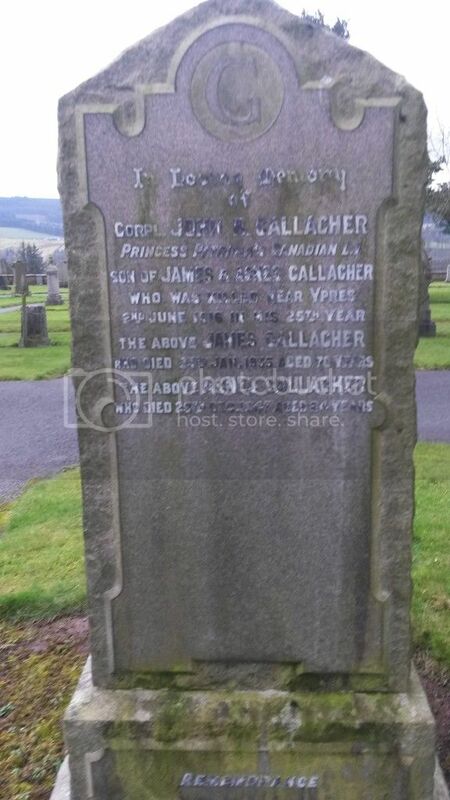 Additional Information: Son of James and Agnes Gallacher, of "Patricia" Newmilns, Ayrshire, Scotland. 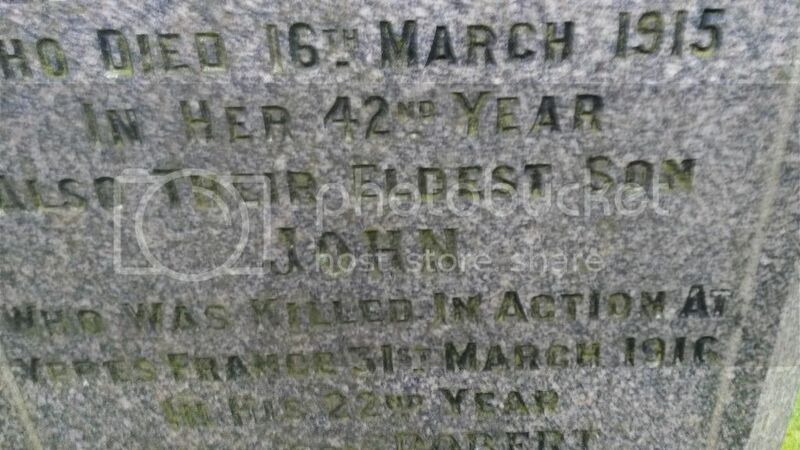 Three other brothers also served. Grave Reference: IV. D. 14. 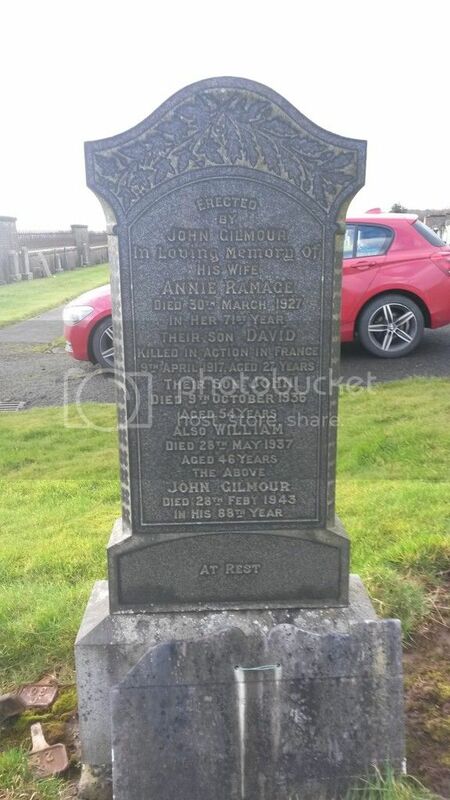 Additional Information: Son of John and Ann Gilmour of 18 Back Street, Newmilns, Ayrshire. 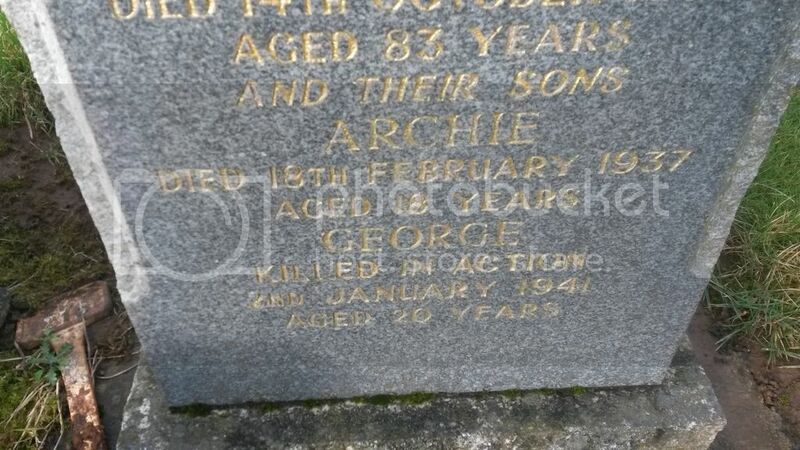 Additional Information: Son of the late James and Agnes Hill, of Glasgow. 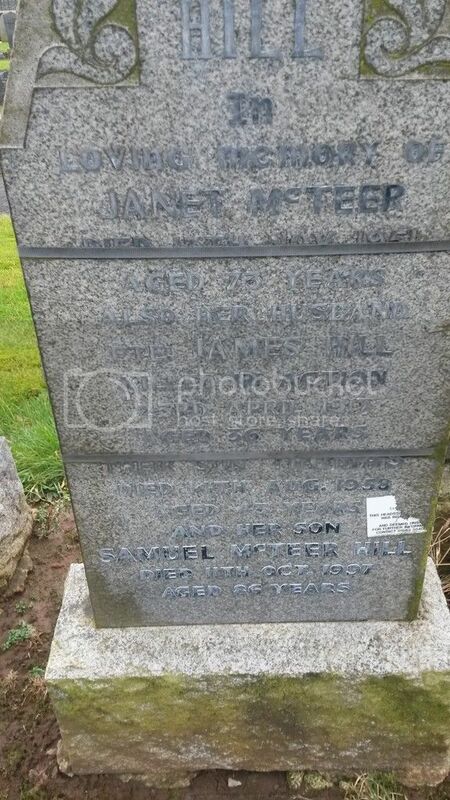 Husband of Janet Hill, of 2, Stewart's Place, Newmilns, Ayrshire. Regiment/Service: Durham Light Infantry 11th Bn. 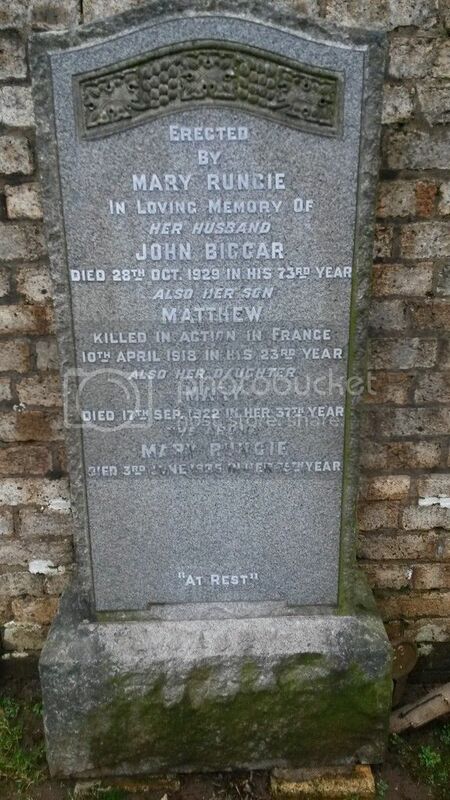 Regiment/Service: Royal Scots Fusiliers6th/7th Bn. Cemetery: ORANGE TRENCH CEMETERY, MONCHY-LE-PREUX, France. 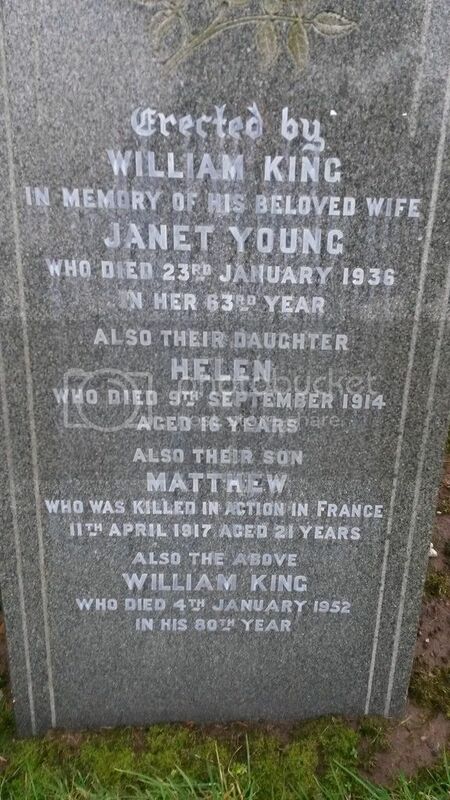 Additional Information: Son of William and Janet King, of 26, Nelson St., Newmilns, Ayrshire. 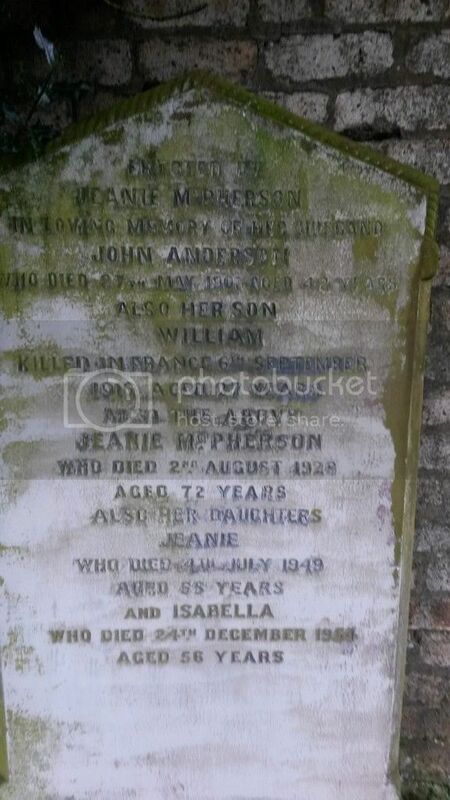 Additional Information: Son of John and Annie Anderson, of 17, Brown St., Newmilns, Ayrshire, Scotland. 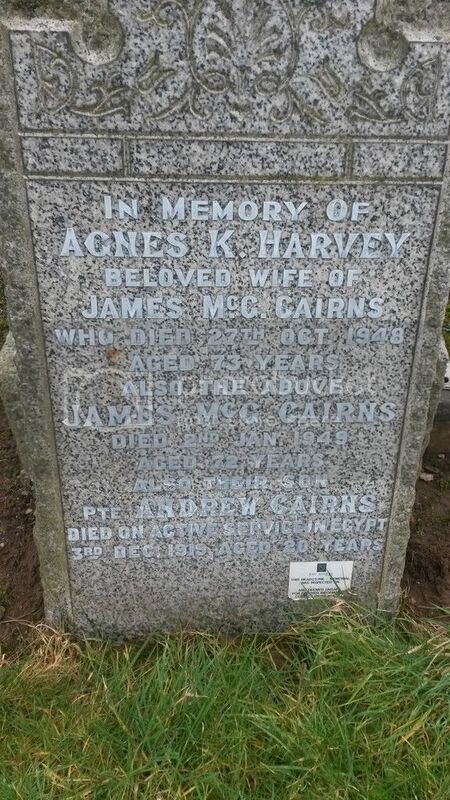 Regiment/Service: Machine Gun Corps (Infantry) 50th Coy. 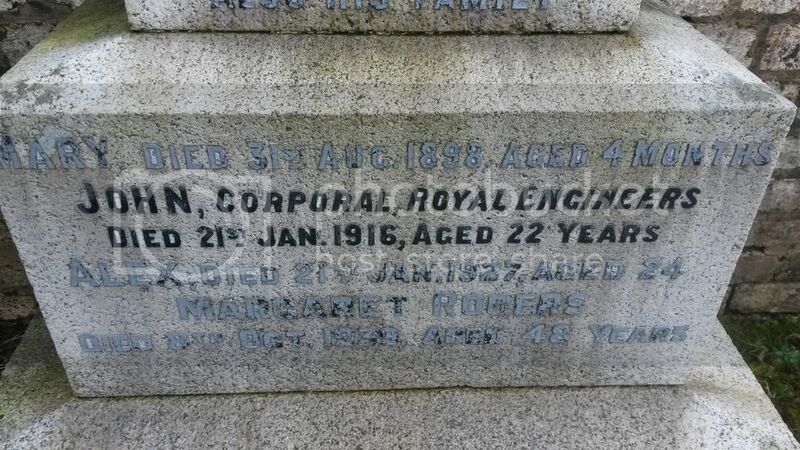 Regiment/Service: Royal Scots Fusiliers1st/4th Bn. 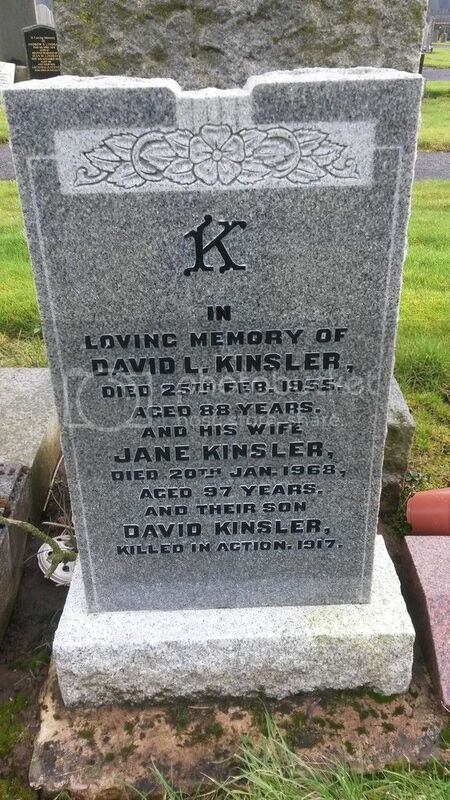 Gravestone states KINSLER which is not listed on either CWGC or SNWM websites. 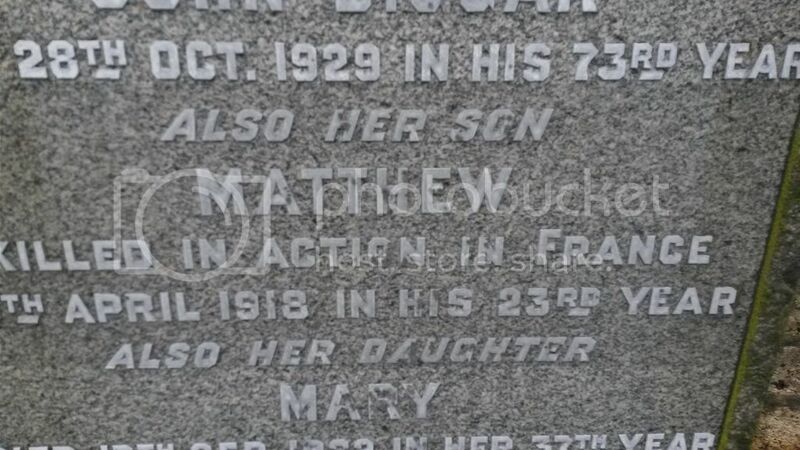 Thanks to my husband for tracking the correct spelling of the name. 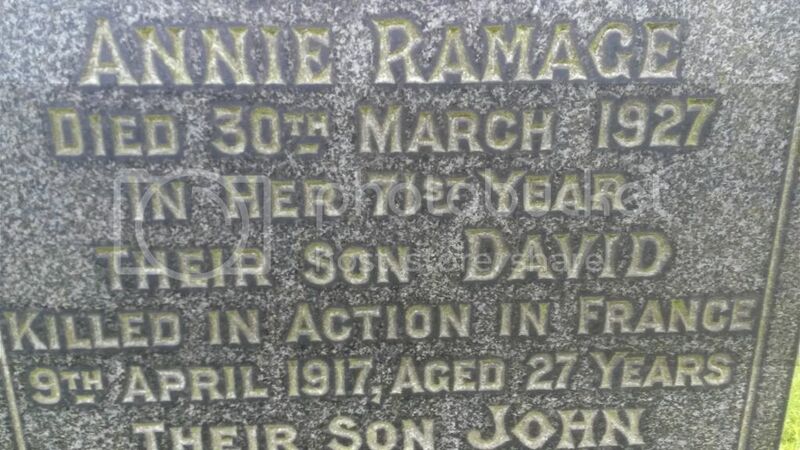 Additional Information: Son of David and Jane Kienzler, of 30, King St., Newmilns, Ayrshire. Cemetery: POTIJZE BURIAL GROUND CEMETERY, Belgium. 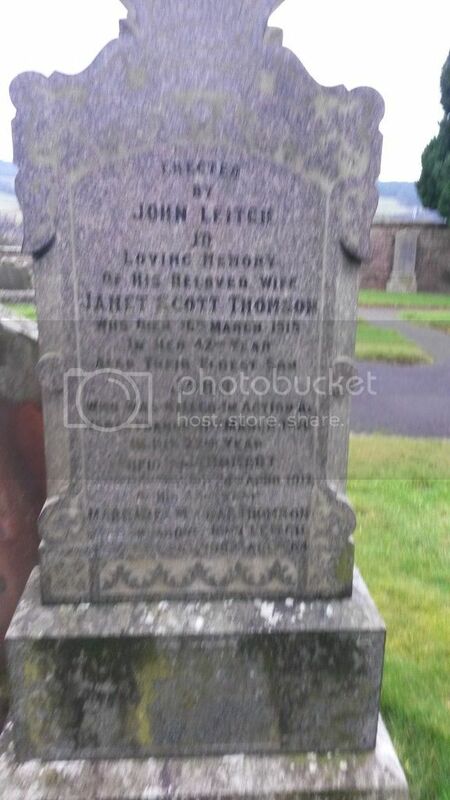 Additional Information: Son of John Leitch, of Back St., Newmilns, Ayrshire.